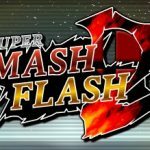 This online flash game gives you a chance to fight in order to find out who is the strongest warrior Goku or Vegeta. In order to participate in the duel, the only things that you need is to hit the play button. In order to recover the damaged health, you should eat the snack and you will power up your energy.